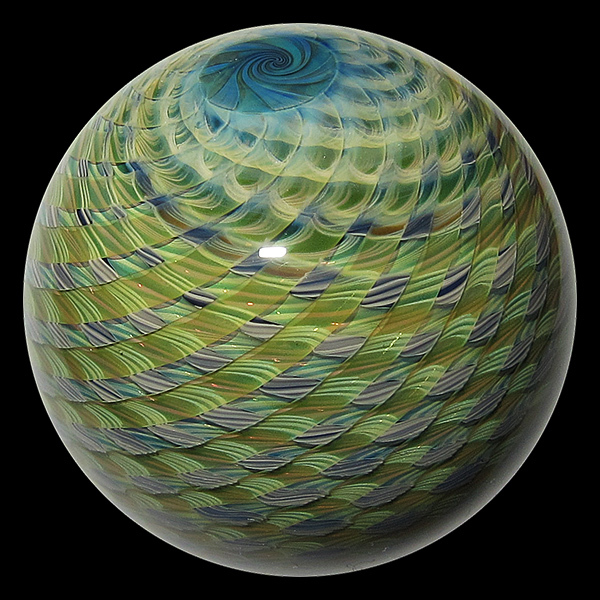 SKU: YKm04. 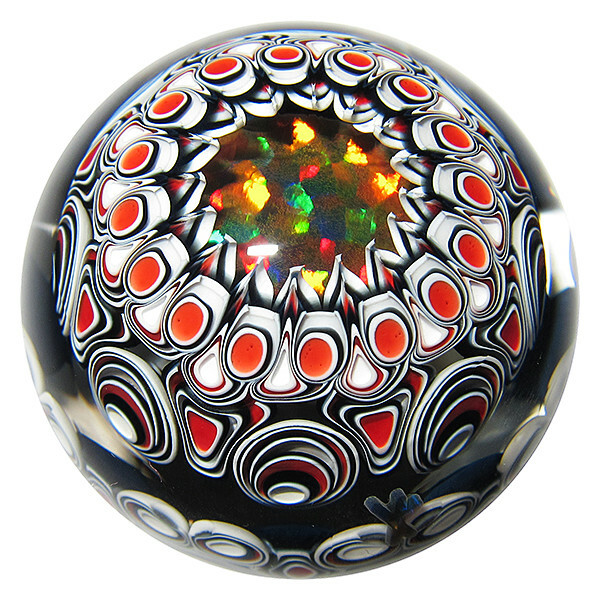 Category: Yoshinori Kondo. 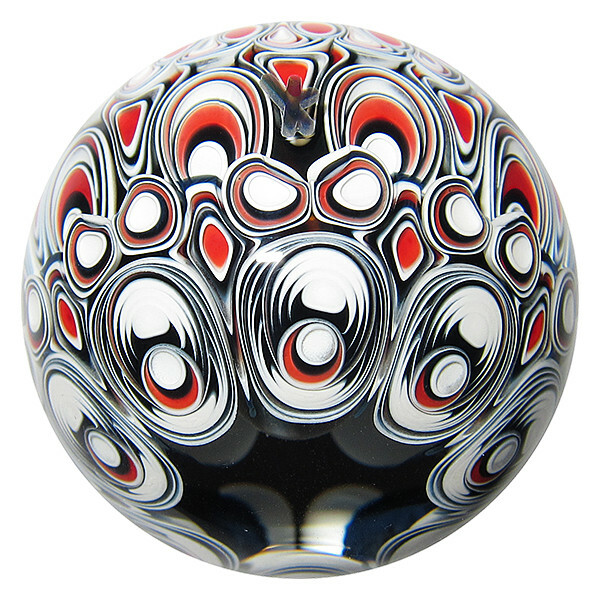 Tags: Marbles, Yoshinori Kondo. 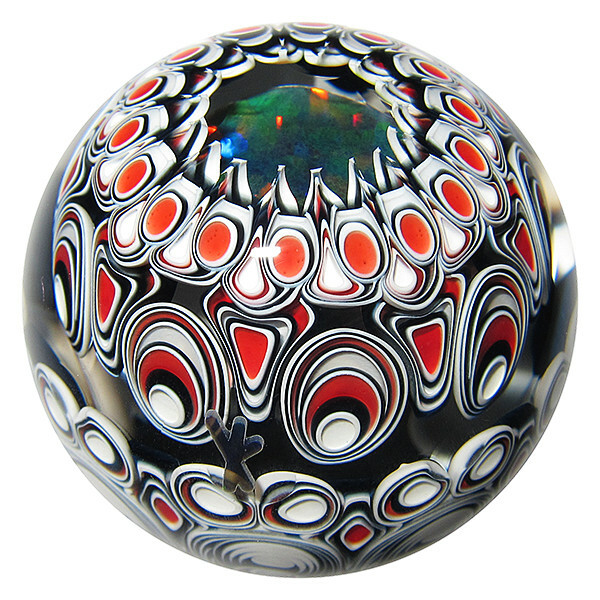 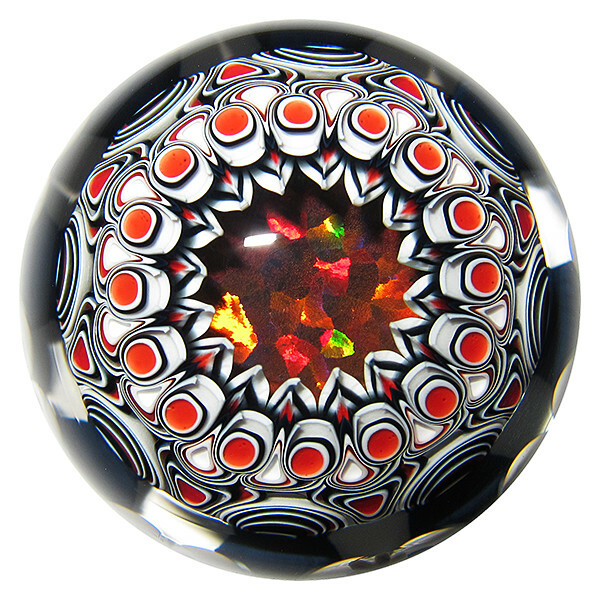 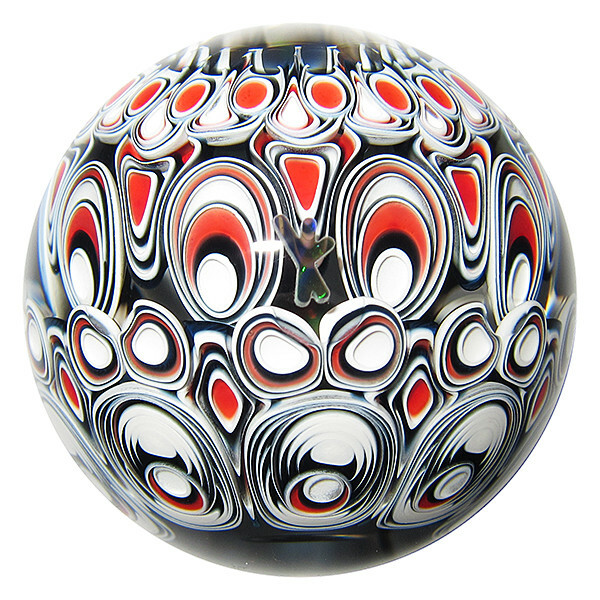 A stunning marble by Yoshinori Kondo, this one features black, white, and red colours arranged in complex dot patterns. 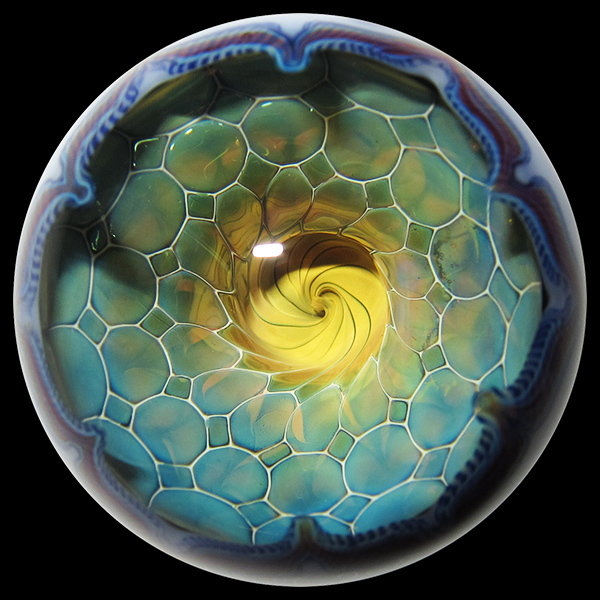 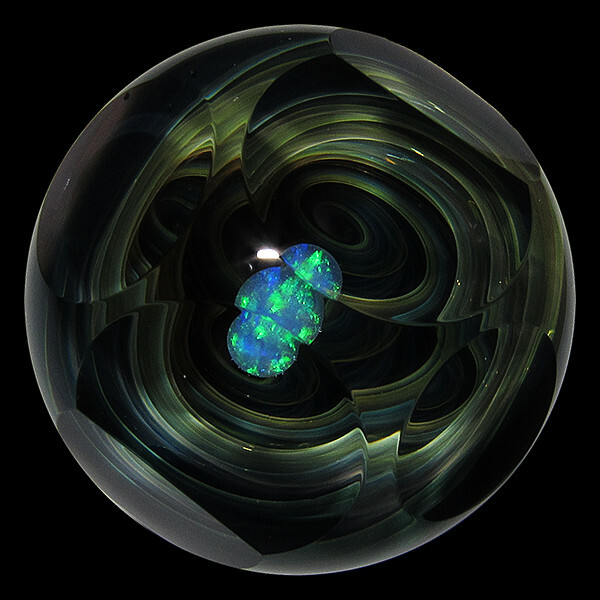 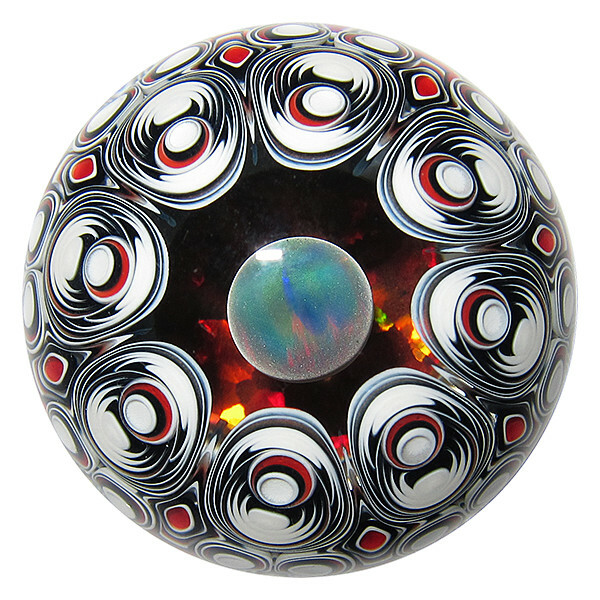 There is two distinct layers of dot patterning, with two huge opals inside – a flat disc opal, and a sphere opal behind it. 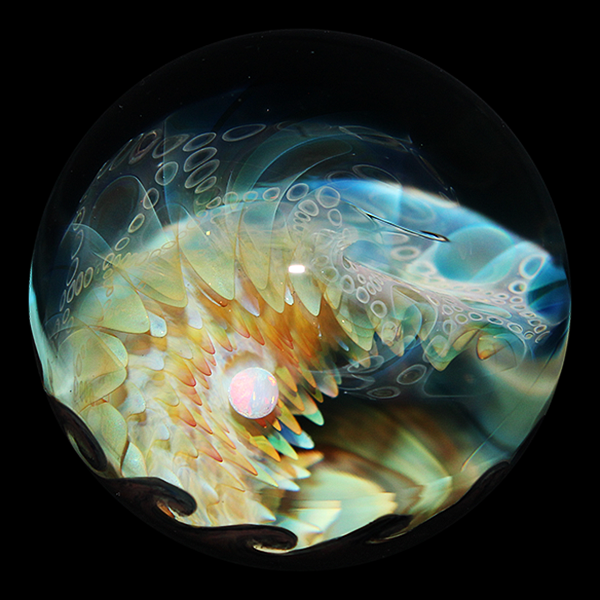 This marble was featured in Kondo’s Team Japan exhibition in 2014 at Shibuya, Tokyo.